PU Foam and Lined with PVC fabric. Reinforced Handles, three way zip on 3 sides covered with Flaps with Velcro closure. 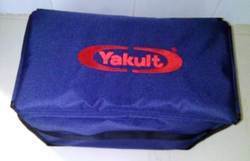 In order to fulfill the ever changing demands of our clients, we have been engaged in offering a quality range of Insulated Tiffin Bag. High grade material and sophisticated techniques are employed in the manufacturing process. 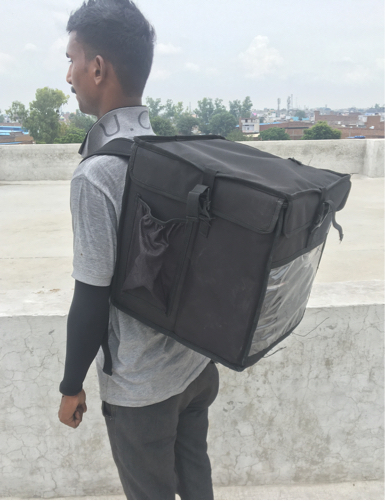 Black, Red Insulated food Delivery Bags, Bag Size: 14" X 14" X 16"
Bag Size: 14" x 14" x 16"
Homemade lunch is healthier and works out much cheaper. See how much you save by sending homemade food rather than buying it from elsewhere. Save on doctor's bills too. Features & Benefits Liquid-tight Seal prevents spillage of curries. - This lunch box allow you to pack a complete lunch. Carry your lunch in style with a premium quality 4 pices lunch box with a insulated bag. Best lunch box for the your office n school.